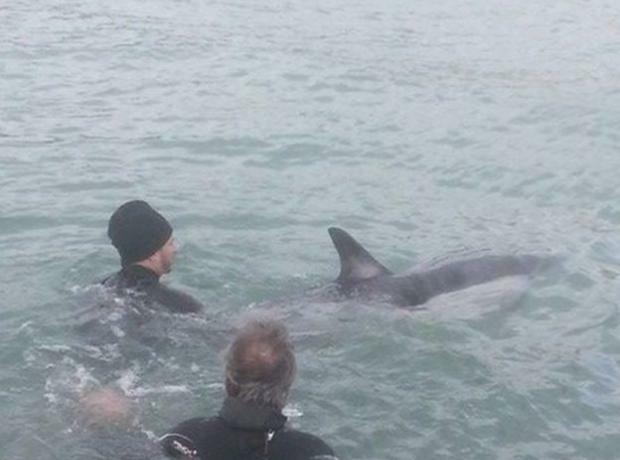 On the weekend a dolphin was washed up into the harbour in St Peter Port. The GSPCA who aren't equipped to collect large deceased cetaceans contacted the authorities who assured the Shelter that it would be collected, but it was sadly left until Monday morning before it was moved which upset many. The GSPCA have been in touch with the Office of the Committee for the Environment & Infrastructure to find out why it wasn't collected. Oil spill training for wildlife organisations and those involved in helping to alleviate the effects on wildlife of a major oil pollution incident will take place at the Guernsey Society Prevention of Cruelty to Animals (GSPCA) as part of the States of Guernsey preparedness measures on Wednesday 11th September 2013.